Salutato il 2011 con un brindisi di addio alla 'mitica' Gail Colson, suo braccio destro fin dagli inizi di carriera, Peter Hammill inaugura il 2012 ripensando il progetto Pno, Gtr, Vox espandendolo a box di ben sette cd - Pno, Gtr, Vox Box - finemente autoprodotto in elegante edizione a tiratura limitata: scelta un filino autoindulgente, che farà tuttavia felici duemila suoi fan esponenti della 'touch & feel generation'. Scrive Hammill: "Over the last decades it’s been my feeling that there should always be a CD release availabe which gives a picture of what’s been the main drive in live performance in the preceding period. Successively, we’ve had Room Temperature, Typical and Veracious. Currently occupying the slot – and likely to do so for the foreseeable future – is, of course, Pno, Gtr, Vox, released last September. As you’ll know, this represents a version of the guitar only, piano only shows with which I began my residence in Tokyo in 2010, with performances taken from the Japanese shows and also from the UK shows in the same year. A double CD is, I think, a decent artefact to leave out there as a (semi-) permanent exemplar of Performance. But while compiling the discs from all the available material it came to me that a specific, bigger, thing could also come out of the various shows. Hence, as the first Fie! 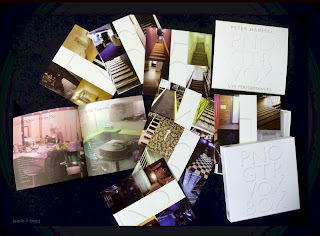 release of 2012, we have Pno, Gtr, Vox Box: a seven cd box set of live songs from the same sources."